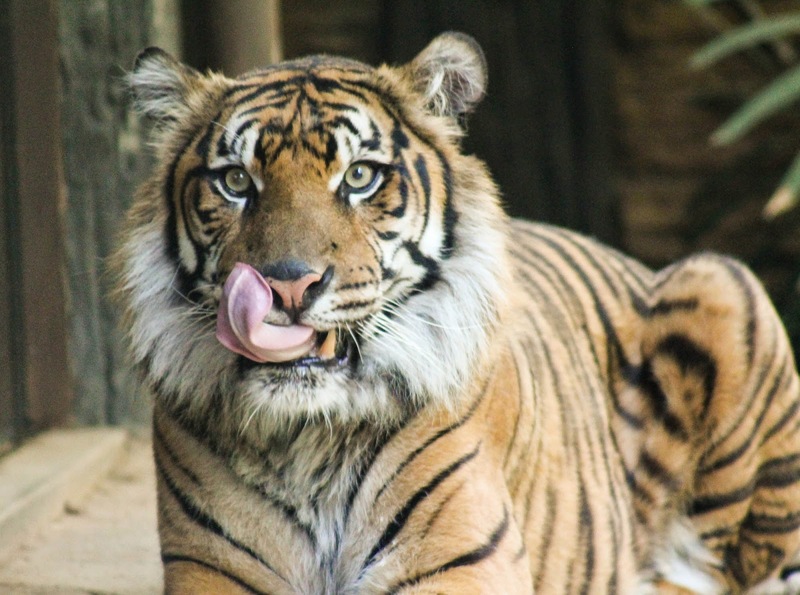 Life with Dylan: Breakfast with the Tigers? Yes please! Imagine walking along a bamboo lined pathway in the quiet of the morning. You hear faint animal calls off in the distance and the moist dew in the air feels cool on your face. As you round the corner, you see green foliage resembling the lush tropical forest of Sumatra. Then out of the trees comes not one tiger, but two tigers, ready to welcome you to their home. It's as if they are saying, "Welcome, come in and join us for breakfast." Well, that is exactly what they are saying. 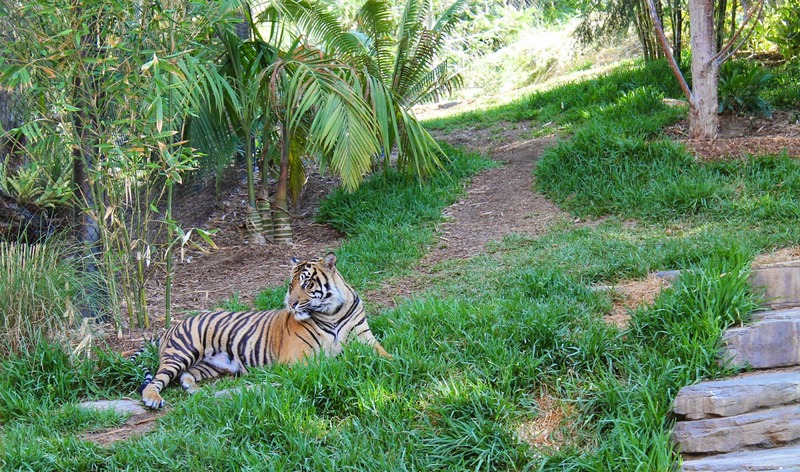 Last Saturday, Dylan and I had the pleasure of being some of the first guests to have breakfast with the Safari Park's Sumatran tigers, and it was magical. If you thought sipping coffee on a tropical beach was relaxing, then you need to try it with the tigers. Sitting at a table sharing good food, my morning coffee, and friendly conversations with others was nothing short of blissful for me. Why you ask? What makes this so special you ask? Well, because it isn't every day that a tiger is roaming just a few feet away from you while you sip coffee and eat your breakfast. 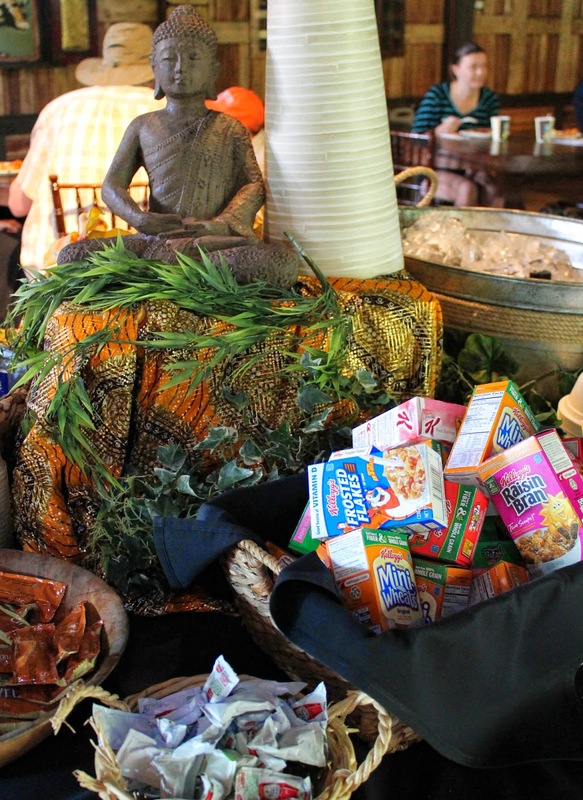 This new experience, Breakfast with the Tigers, is being offered as part of the Summer Safari Asian Celebration. 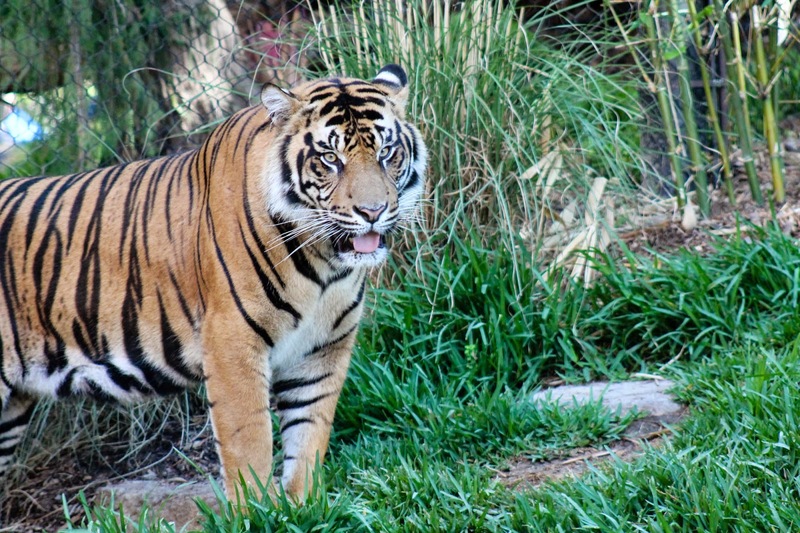 Every Saturday, from June 28 through August 16, you are invited to have breakfast with the tigers before the park opens to the public. 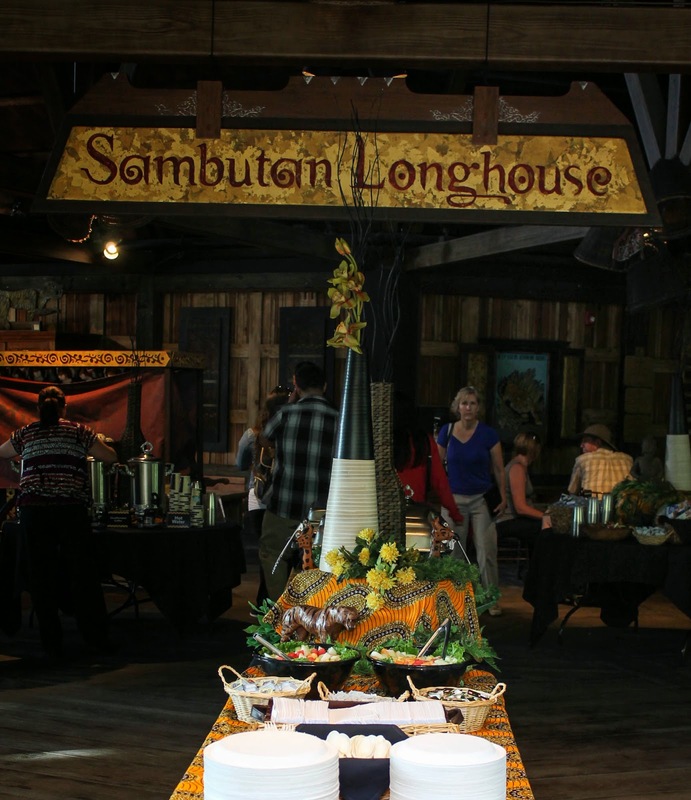 Held in the Tull Family Tiger Trail's Sambutan Longhouse from 8 a.m. to 9 a.m., the new dining experience gives guests a chance to see the tigers interacting with keepers and exploring their habitats filled with enrichment items. 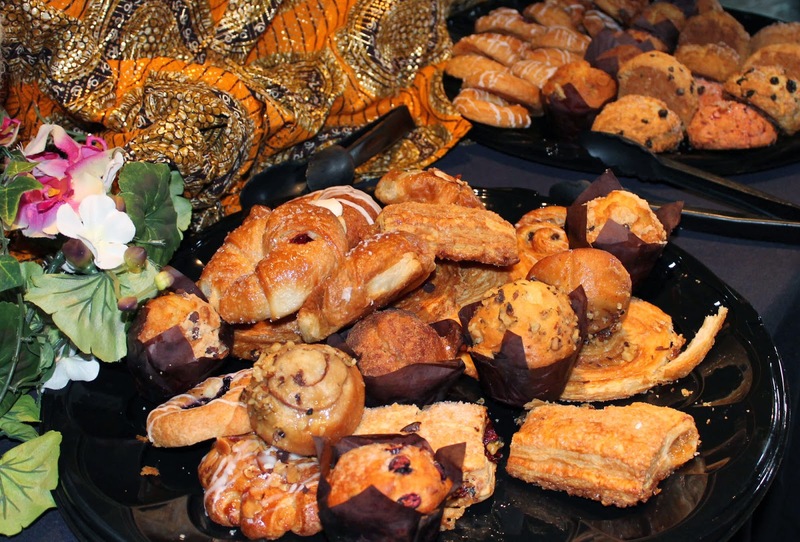 The traditional American breakfast buffet includes eggs, bacon, sausage, breakfast potatoes, pancakes, fresh fruit, cereal, assorted pastries, coffee, tea, juice, and water. 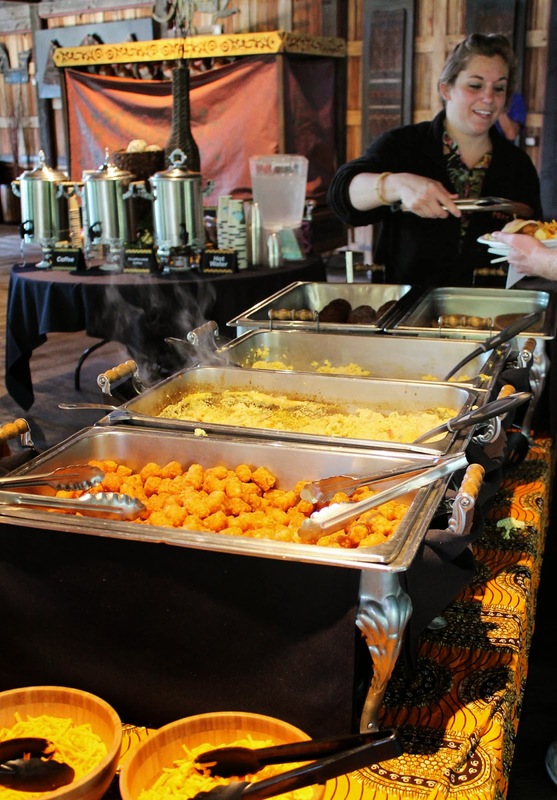 There is something for everyone and remember, it is a buffet so you can go back for more! 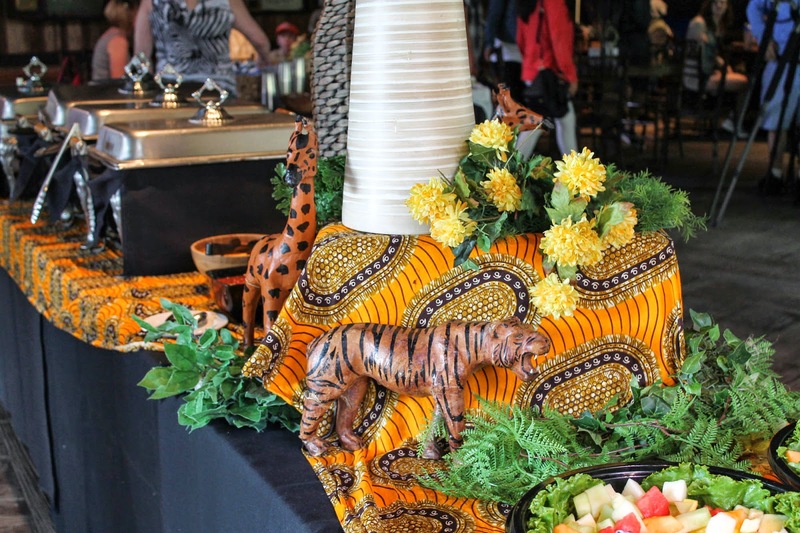 Not only does this new dining experience allow you to enjoy your breakfast in a tropical Sumatran setting, but you also have the opportunity to speak with tiger keepers, who are walking around during breakfast to share stories and answer any questions you may have about the tigers. The keepers will also invite one of the six Sumatran tigers to the interactive wall to demonstrate what goes on during a training session. What I enjoyed most about having breakfast with the tigers was the intimate setting. I was told that only 50 tickets are sold for each Saturday dining experience, so you won't have an issue with crowds. When breakfast is over, you can continue exploring Tiger Trail for about 20 minutes before the general public starts arriving. Tickets are $45 for Breakfast with the Tigers - Admission is separate and required for non-members, but may be added at checkout. Come, join the tigers for an experience you will never forget. Teddy sends his personal invitation and recommends the pancakes. He says the syrup is lip-smacking good!